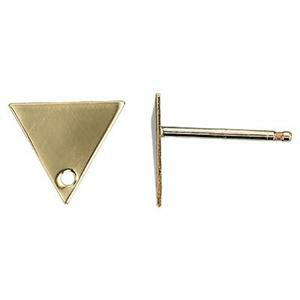 14/20 GF 8.2x7.2mm 28 gauge Triangle Post, .7mm Post Thickness, .9mm Hole ID. Clutches Not Included. Order 2pcs to get one pair of earrings.